Well, we’re less than a week away from the 5th Annual Felt United Day which takes place on Saturday. Wow! How did that year zip by so quickly? Did it for you, too? I hope that you have made plans to commemorate the day in some way…The possibilities are endless. Perhaps you’re taking part in an exhibit, an Open House at your home or studio, a fashion show, a collaboration with other felt artists, a feltmaking demonstration for friends and family, teaching, or simply brewing yourself a cup of coffee or tea and enjoying all of the images on our Facebook Felt United page. There’s certainly plenty of inspiration out there. Thank you to all who have already posted or who soon will be. Be sure to note the Facebook Felt United Events page, too, as there are several posts listed for events in Latvia, Lithuania, Scotland, and two right here in Michigan. If you haven’t listed your event as yet, there’s still time to do so and we would certainly welcome that. theme; WATER…And, more will be forthcoming as FeltUnited unfolds. Please be sure to share your photos…We can’t wait to see what everyone has been working on! Oh, and speaking of photos, don’t you love Pam de Groot’s fun ‘Splash’? It’s marvelous!!! See additional photos of ‘Splash’ on Pam’s Facebook page. Together – We Felt United! Just a few more days until Felt United Day. If you’re free on Saturday, please join me at the lovely Design Street, 115 W. Bridge St., Plainwell, Michigan, from 10:00 a.m. – 2:00 p.m. for a Felt United Open House/Exhibit, including works from artists, Ingrid Garrod, GlitterGirl Feltworks, Shirley Topp, Tamara Luke Hosler, Deborah Barnes Hall, Catherine Niessink, Barb Bare, and myself. Hope to see you on Saturday. With one thing and snother and being busy throughout the year the Felt United Day had entirely slipped my mind date wise. 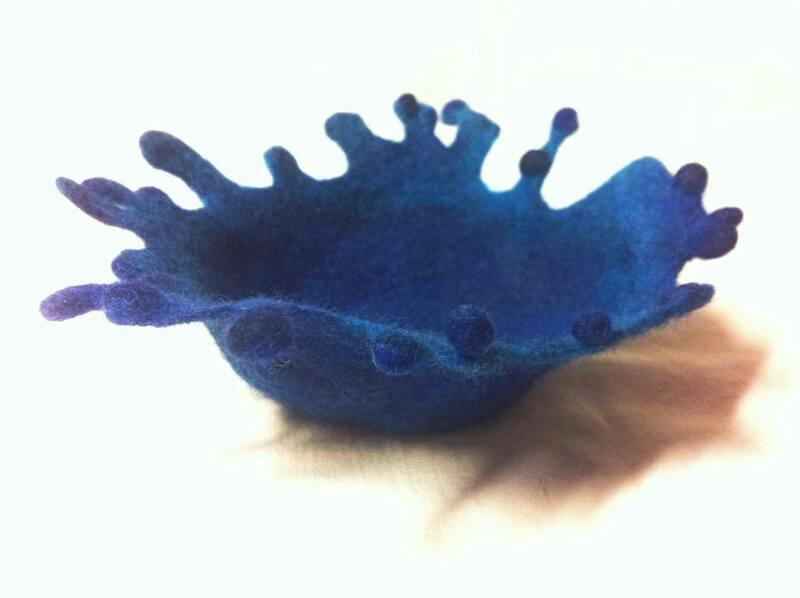 So this week I will be busy making my watery items in the hope that I don’t let it slip away without posting photos this year. Thanks for the reminder. Hope your felt water making is going well Julie….Thanks so much for joining in. I’ll look forward to seeing your photo(s).